Our third Tech Issue is all about light! 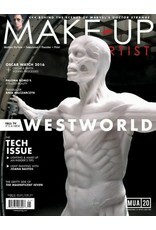 We discuss how to handle different lighting scenarios on set and how advancing technologies affect make-up application, and Joana Bastos uses light painting to illuminate her android-inspired look. 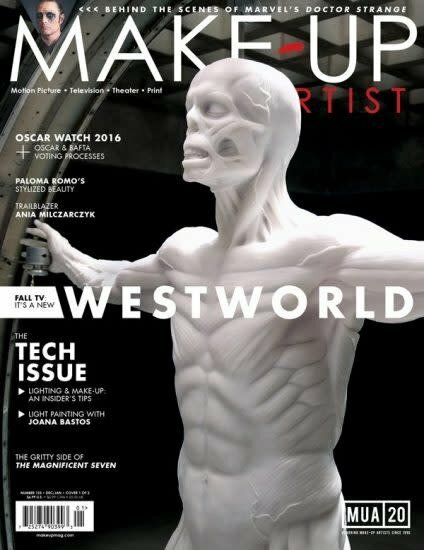 ALSO: IMATS Toronto recap; Australian original Ania Milczarczyk; Paloma Romo’s stylized beauty; Oscar Watch 2016; Oscar and BAFTA voting processes; make-up from Doctor Strange, The Magnificent Seven and Westworld; and more!